This post is written by Meg Gordon, Membership Manager at Experience Columbus. You can follow Meg on Twitter @Meg_ExpCols . 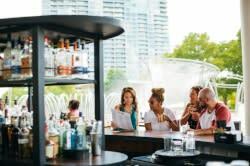 Do you want to experience flavors unlike anything you’ve had before? 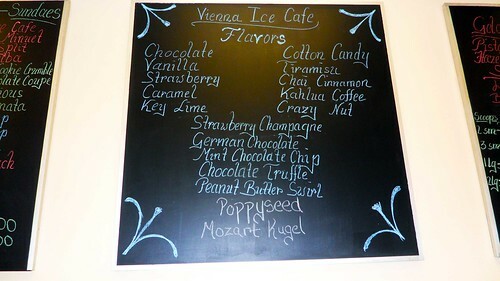 Then come to Vienna Ice Café where you can taste European inspired, locally handmade ice cream. In fact, I don’t feel right calling it ice cream. 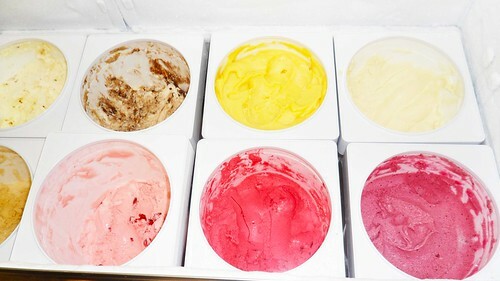 Every flavor is like a work of art that your taste buds will be sure to appreciate. It’s that good. Anand and Doris Saha, owners of Mozart’s Bakery , has done it again with Vienna Ice Café, where he once again brings the tastes of Europe to Columbus, more specifically the lovely Clintonville (Link #3). The flavors go from Key Lime Pie to Coffee Kahlua. Each one is as good as the next, with some even featuring pieces of pastries from Mozart’s. My personal favorite is the German Chocolate Brownie and this month’s flavor is Pumpkin Spice Gelatto. 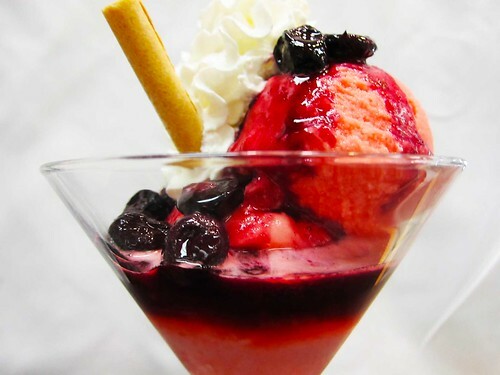 They also offer a variety of sundaes, or coupes, most notably the Marzipan peach, featuring Mozart’s most famed pastry. But it doesn’t stop with ice cream! You haven’t officially experience Vienna Ice Café until you’ve tried the Vienna Ice Coffee, one of the signature desserts. The Vacherin takes ice cream cake to a whole other level: a French specialty-vanilla and strawberry ice cream in layers of meringue, with whipped cream and toasted almonds. It’s the epitome of the phrase melts in your mouth. So, if you want to shock your taste buds with the Mona Lisa of ice cream, then check out Vienna Ice Café.